The future is electric, and the Chevrolet Volt - indeed, the Chevrolet brand as a whole, if this car is any indication - plans to be a big part of that future. This is a car that's been in the news for a few years, and it's proved well worth the wait. Its $42,000 base price cuts deep in the compact-car class that the Volt competes in size-wise, but that number is almost certainly a bargain compared to what parent company General Motors would need to charge to make back the research and development that went into the car's high-capacity battery and electric motors. Chevrolet touts the Volt as an electric car with "extended range," that bit in quotes coming courtesy of a 1.4-litre four-cylinder engine. On a full charge, achieved by simply plugging the car into the wall like a cellphone, Chevy says the Volt will travel anywhere from 40 to 80 kilometres. After the battery has run down, the gas engine starts - completely automatically - to generate electricity so that you can continue driving the car. The gas engine doesn't drive the front wheels directly, which sets the Volt apart from hybrids like the Toyota Prius. 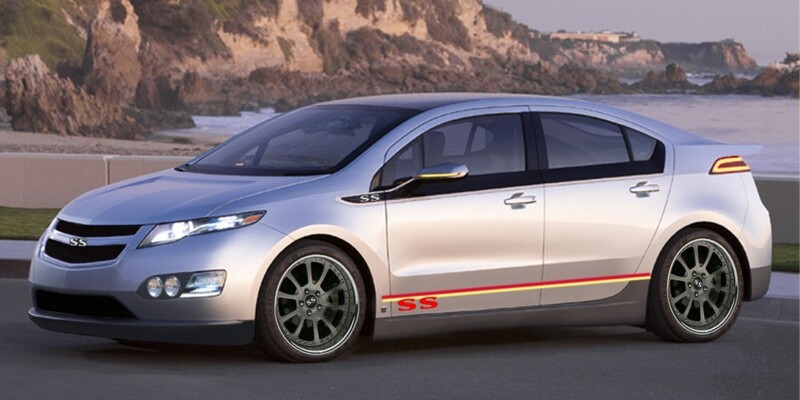 The Volt is, in essence, a hybrid with the ability to toodle around a decent distance on battery power alone. By contrast, most hybrids can only handle low speeds and short distances on electricity; for the most part, hybrid cars are designed to move on a combination of electricity and internal combustion power.